This week has utterly killed me; a combination of a desperately unwanted deathly illness from the kids and a week of ridiculous stress at the job thing. Oh, and one of the kids being bloody inconsiderate in his own illness and waking me up every night. All of which has somewhat robbed me of the enthusiasm I’ve had for the last few weeks, where I have been bounding towards my inevitable career as a multimillion selling author with all the joys of Autumn. I’m just hoping that it’s all getting out of my system ahead of NaNoWriMo. I did manage to attend a writing group though, which was lovely as usual. It’s such a joy to sit around with fellow writers and chat writing, even if it’s only to be in a room with people who don’t roll their eyes when you start talking about the world you’re creating. Writers love talking to other writers, we fire off each other. This is why I really love the infrequent catch ups with my writing group, the lengthy discussions on my online writing group and listening to writing podcasts like The Creative Penn and the Self-Publishing Podcast. It’s also why at the moment, this blog is pretty much me writing about writing. It helps me to stay focused, stay motivated, but most importantly it helps me order things in my head, work through my thoughts on how to approach things. I’m not sure how helpful it is to anyone else (my guess is not a lot), but until I start to really try to build my ‘brand’ for readers, I guess it’s what I’m going to be doing. All the literature I’ve read says that the worst way to market yourself as an writer is to talk to other writers, but this blog has existed for over a decade now in one form or another as a way of getting my thoughts out without any grand scheme or over-arching theme, and what I’m largely thinking about right now is writing. I’m no authority, I’m an unpublished wannabe, and if you are following this blog trying to gain knowledge on how to become a millionaire author, then sorry, I’ve got nothing for you. But perhaps what I can give an insight to is the process of trying to write, of trying to follow my dreams. You’ll be able to follow along as I creep closer and closer to the realisation in my fifties that I’ve wasted my life chasing unicorns. I jest. There are three books on Self-Publishing that I’ve had on my Amazon wish list for a while now, cued to sit there eternally while I wait for that mythical day when I might have enough money to actually procure them. The books are Let’s Get Digital by David Gaughran, How To Market a Book by Joanna Penn and Write, Publish, Repeat by Johnny B. Truant and Sean Platt with David Wright (the Self-Publishing Podcast guys). All of them are considered experts in the field of self-publishing, all of them having worked in this area for years, getting increasingly successful through sheer hard work (and a fair bit of talent, of course.) I figured that between the three books it’d cover pretty much everything I’d need to know about the market I’m getting into. 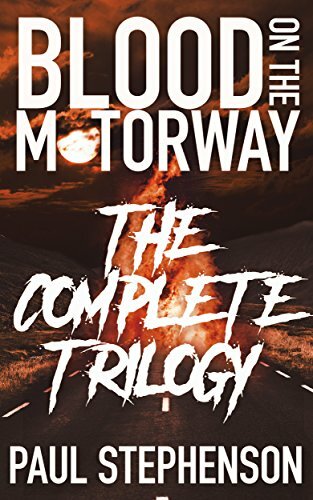 Imagine my delight, then, to find a post on Joanna’s blog this morning that the authors have teamed up to bundle all three books together, and at the ridiculous price of 79p for all three books. I may have actually done a merry little dance. So if that’s your kind of thing, head here to find out more about it.